One of the old and among the most revered temples of Hyderabad is the Yellamma Temple located at Balkampet, popularly called the Balkampet Yellamma temple. 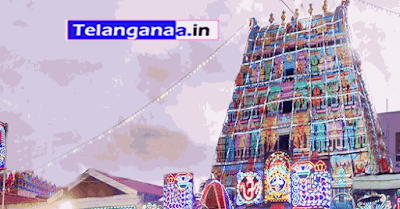 The temple is thronged by heavy crowd on Sundays and Tuesdays and is quite famous for the annual Bonalu Jathara festivity that takes place in Hyderabad. This temple is dedicated to Goddess Yellamma that literally means 'mother of the universe'. There is also an alternative name called Jagadamba who is considered the same as Goddess Renuka. According to a legend, Renuka, the daughter of Raja Renuka had married Jamadagni, the son of Satyawati and had five sons, one of them being Parashurama. One day, Renuka couldn't perform one of her regular household chores and this enraged her husband who then asked her to leave the house.Dejected Renuka was reportedly suggested by saints to perform pujas near a Shivalinga and feed Brahmins for her penance. Jamadagni was reportedly furious at her and demanded his sons as well to punish their mother Renuka. Others refused and they were burnt to ashes by the father's gaze while Parashurama searched for his mother who was hiding in a village, beheaded her and even the poor woman who helped her. Jamadagni who was pleased by his son's obedience, gave him a boon and in turn Parashurama asked his father to restore the lives of his brothers, his mother and the village woman. However, during the process, the head of Renuka was restored on the other woman's head and vice versa. While Jamadagni accepted the woman who had Renuka's body, the other form came to be popular known as Yellamma, which means mother to all and is being devoutly worshipped from then by the people of Telangana people. Balkampet Yellamma Goddess is also considered as an incarnation of Goddess Kali. Devotees offer animal sacrifice here. The most important event here is the celestial marriage ceremony of the temple goddess, Yellamma Kalyanotsavam. Bonalu Jathara Festival at Balkampet Yellamma Temple falls in the calendar only after Golconda Bonalu Jathara followed by Ujjaini Mahankali Bonalu Jathara each year. The temple was first constructed in 15th Century AD and later renovated in the early 20th century. The idol of the goddess here is seen 10 feet lower than the ground level and the devouts believe that the water in the well here can cure all ailments. The holy water is treated as Theertham. The temple also has Akhand Jyothi, which was lit during the renovation. It is situated at a distance of 10 km from Secunderabad Railway Station and is just 3 km away from Ameerpet junction. There are many budget restaurants and hotels operating in SR nagar region, which tourists can visit. Telangana Tourism operates Plaza Hotel in Begumpet,located at distance of 2.4 kms from Balkampet Yellamma Temple is a comfortable stay. The Plaza hotel here is ideal for tourists visiting destinations in and around Hyderabad. There are standard and deluxe A/C rooms and the interiors are world-class, designed aesthetically to attract tourists. The rooms of the hotel are well-maintained, the environs look pleasing and this hotel is built in signature style in the midst of the city. There is also an attached restaurant here offering quality food for the visitors at specified timings. A prominent hotel of Telangana tourism, Plaza Hotel has well-laid tiles while the woodwork of suites indicate world-class construction, thereby creating a landmark hotel of the tourism department. Haritha Taramathi baradari resort is located at a distance of 17.8 kms from Balkampet Yellamma Temple,is an attractive destination in Hyderabad. The resort has an Open Air Auditorium, which is ideal for corporate gatherings and private events. It also has an Air Cooled Theatre and Banquet Hall that are a perfect fit for special events, conferences and exhibitions. It comes with an attached pantry, a multi cuisine A/C restaurant and a 50 PAX A/c Bar(saqi) for spending some quality time.The resort also has a souvenir shop and swimming pool that comes with a modern health club with best facilities for fitness and leisure. There are A/C suites and A/C rooms that can be an ideal way to enjoy luxury in the vicinity of a prominent monument. Spending time close to a heritage destination with best accommodation and quality food, with all trappings of a resort has never been this wonderful!